If horses could be given airline rewards accounts, it's safe to say Hawkbill would probably have more frequent flier miles than you do. 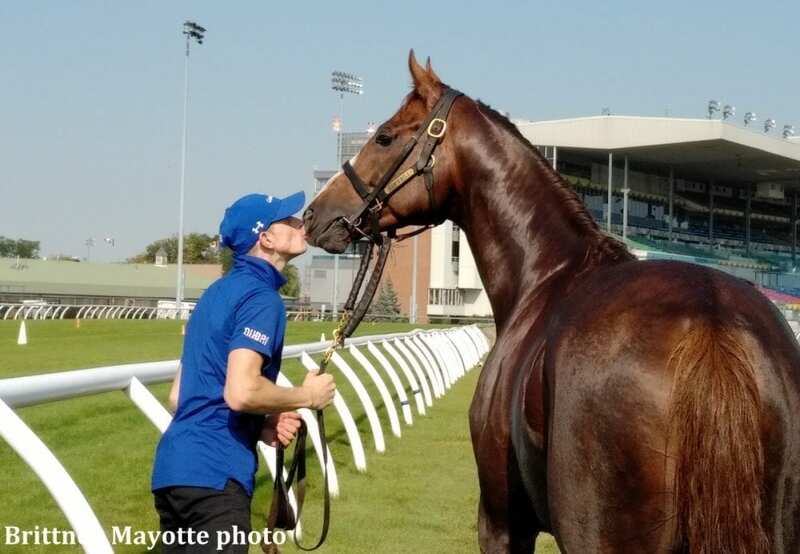 The 5-year-old, who takes aim at the Grade 1 Northern Dancer at Woodbine Saturday, took a somewhat circuitous path to get to Toronto, but assistant trainer Sophie Chretien said it's nothing he isn't used to. Hawkbill, who is based at Charlie Appleby's Newmarket training yard, loaded onto a van (or horsebox, as they're called in England) and rode to the airport at London Stansted, where he boarded a two-hour flight to Frankfurt. At Frankfurt, he had a three-hour layover before changing planes for an eight-hour transatlantic flight to Toronto. Once there, Hawkbill waited to clear customs before entering the isolation barn at Woodbine. Chretien said international shippers will receive fluids before and after travel to deal with dehydration during the journey. She said a veterinarian also travels on the plane in case of emergencies. “It's just like us,” she said. “Some horses like the heat, some horses like the cold. Some horses are better some times of the year. It's just a natural thing and you don't change that. And with age, they get better and more professional because they know the routine. Hawkbill is used to travel, having competed in England, France, Germany, Dubai, the U.S., and Canada. The winner of the G1 Dubai Sheema Classic and G1 Dubai City of Gold will hope to avenge last year's narrow defeat in the Northern Dancer, where he lost by a head to Johnny Bear. We've previously explored the questions of whether horses get jet lag and what U.S. quarantine requirements are in place for foreign shippers. But besides the physical stress of international travel on horses and humans, it can be a logistical challenge. Horses must travel on specially-designed cargo planes, the schedules for which may be subject to other customers' needs (though there are equine-specific airline companies which can organize flights around international competitions). Then, as human travelers know, there are the delays. Woodbine Mile contenders Stormy Antarctic and Lord Glitters were meant to catch their Toronto connection through Amsterdam but arrived Monday to find the flight had been cancelled. The horses were able to catch a flight out Thursday and arrived in Toronto late Thursday night, leaving only Friday and Saturday mornings to get the lay of the land. Luckily, Lord Glitters trainer David O'Meara told the Woodbine notes team the big gray seems to have taken the diversion in stride. “He's traveled fine. It's not our normal routine. We'd normally have a few days to settle in and have a canter on the Thursday. With the travel disruption we didn't get in until late last night, but he appears to have taken it all very well. The race itself will be the telling point,” said O'Meara. This entry was posted in NL Article, Racing and tagged charlie appleby, david o'meara, hawkbill, lord glitters, stormy antarctic, woodbine, Woodbine Mile by Natalie Voss. Bookmark the permalink.